You want the confidence that every dose is tracked and accounted for. 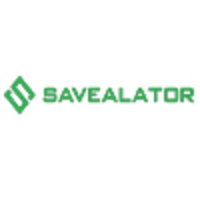 Savealators Digital Narcotics Tracker module is the solution that: Manages every dose of opioids from receipt through usage (or waste). Allows easy and secure management from smartphones and/or tablets in the field. Provides real-time inventory and alerts. Provides a reliable audit trail of every dose. Promotes ease of hand-offs at end-of-shifts. Creates total transparency of ever of every dose. Work for EMS Digital Narcotics Tracker? Learning about EMS Digital Narcotics Tracker? Cisco Instant Connect is a comprehensive IP-based dispatch and incidence response solution using any radio, desktop, or mobile device. It is designed to deliver highly secure communications with full-featured group collaboration. Everbridge's notification platform and incident lifecycle communications model makes communicating to many as simple and effective as communicating to one. Rave Alert is a multi-modal emergency notification system used by state and local governments, colleges, hospitals and universities. RedFlag is an emergency notification software that allows businesses to send out voice, text, or email notifications on a mass scale. Honeywell Instant Alert is a cloud-based emergency and mass notification systems that provide a seamless solution to reach people in an emergency or for routine communication, user can contact them quickly with one controlled message. CURE 9000 is a security management systems that monitor events, manage personnel, create reports, display dynamic views, and monitor system activity anywhere in the world directly from PC. Iamresponding is a web based emergency Responder Tracking System that lets you know immediately who is responding to your calls and dispatches, where they are responding, and when they will be responding. This saves critical time, and reduces response times, for fire departments, EMS agencies, SAR and technical rescue teams, and any other incident response teams when responding to emergencies. AtHoc Alrt is a crisis communication and mass notification solution that unifies all channels and devices to empower organizations, people, and communities to communicate and collaborate during critical events. e2Campus uAlert is an emergency notification system that enables non-technical staff to send custom or predefined messages instantly to the campus community for improved crisis communications, business continuity, disaster recovery, and emergency management. * We monitor all EMS Digital Narcotics Tracker reviews to prevent fraudulent reviews and keep review quality high. We do not post reviews by company employees or direct competitors. Validated reviews require the user to submit a screenshot of the product containing their user ID, in order to verify a user is an actual user of the product. Hi there! Are you looking to implement a solution like EMS Digital Narcotics Tracker?